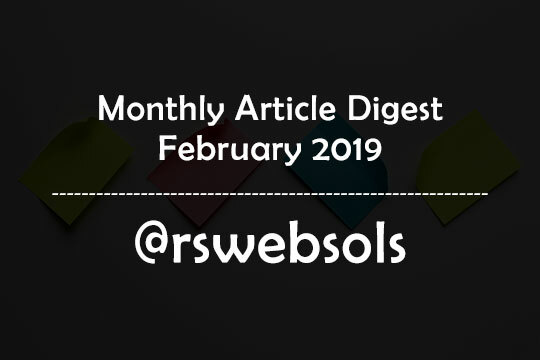 This is an article containing the monthly article digest of the month “February 2019” at RS Web Solutions (@rswebsols). You can easily find all our published articles of February 2019 in ascending order by date. This is a monthly archive page to help our readers to give an easy-to-find list of monthly articles. Along with the article title, you can also able to read a short excerpt of each article. If you find an interesting article that catches your attention, you can, of course, click on the “continue reading” link to read the entire article. Happy reading! 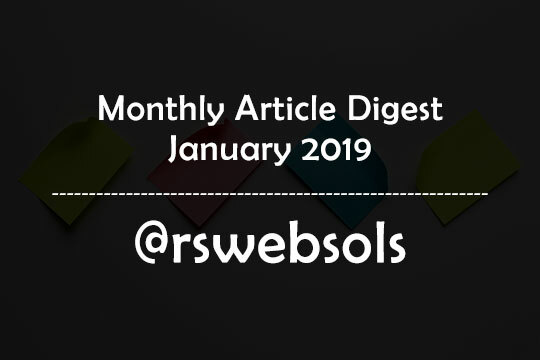 This is an article containing the monthly article digest of the month “January 2019” at RS Web Solutions (@rswebsols). You can easily find all our published articles of January 2019 in ascending order by date. This is a monthly archive page to help our readers to give an easy-to-find list of monthly articles. Along with the article title, you can also able to read a short excerpt of each article. If you find an interesting article that catches your attention, you can, of course, click on the “continue reading” link to read the entire article. Happy reading! This is an article containing the monthly article digest of the month “December 2018” at RS Web Solutions (@rswebsols). You can easily find all our published articles of December 2018 in ascending order by date. This is a monthly archive page to help our readers to give an easy-to-find list of monthly articles. Along with the article title, you can also able to read a short excerpt of each article. If you find an interesting article that catches your attention, you can, of course, click on the “continue reading” link to read the entire article. Happy reading! This is an article containing the monthly article digest of the month “November 2018” at RS Web Solutions (@rswebsols). You can easily find all our published articles of November 2018 in ascending order by date. This is a monthly archive page to help our readers to give an easy-to-find list of monthly articles. Along with the article title, you can also able to read a short excerpt of each article. If you find an interesting article that catches your attention, you can, of course, click on the “continue reading” link to read the entire article. Happy reading! This is an article containing the monthly article digest of the month “August 2018” at RS Web Solutions (@rswebsols). You can easily find all our published articles of August 2018 in a ascending order by date. This is a monthly archive page to help our readers to give an easy-to-find list of monthly articles. Along with the article title, you can also able to read a short excerpt of each article. If you find an interesting article that catches your attention, you can, of course, click on the “continue reading” link to read the entire article. Happy reading! This is an article containing the monthly article digest of the month “July 2018” at RS Web Solutions (@rswebsols). You can easily find all our published articles of July 2018 in a ascending order by date. This is a monthly archive page to help our readers to give an easy-to-find list of monthly articles. Along with the article title, you can also able to read a short excerpt of each article. If you find an interesting article that catches your attention, you can, of course, click on the “continue reading” link to read the entire article. Happy reading! This is an article containing the monthly article digest of the month “June 2018” at RS Web Solutions (@rswebsols). You can easily find all our published articles of June 2018 in a ascending order by date. This is a monthly archive page to help our readers to give an easy-to-find list of monthly articles. Along with the article title, you can also able to read a short excerpt of each article. If you find an interesting article that catches your attention, you can, of course, click on the “continue reading” link to read the entire article. Happy reading! 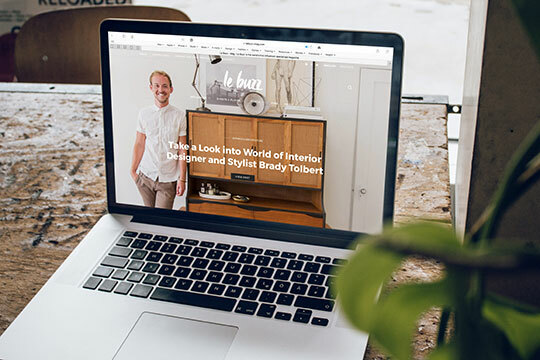 5 Tips for Boosting Blog Traffic – How to Get People to Read Your Blog?